At Hotel Dieu Shaver, the quality of our patient care is the result of extraordinary teamwork among our staff, leadership, & Board of Trustees – all working together to achieve common goals in accordance with our Mission & Values. The staff at Hotel Dieu Shaver is a dedicated, compassionate, and talented team. From housekeepers to nurses, from physicians to pharmacists, and from therapists, maintenance workers, and all other team members, the patients are the number one priority. When you visit Hotel Dieu Shaver you may notice signs within our facility for Niagara Prosthetics and Orthotics and Niagara Wheelchairs and Seating. These two partner organizations work closely with our care teams at Hotel Dieu Shaver to provide our patients with a world-class standard of care that incorporates today’s most advanced prosthetic, orthotic, bracing and mobility solutions. Staff from Niagara Prosthetics and Orthotics and Niagara Wheelchairs and Seating actively collaborate with our care teams to ensure the devices that are prescribed for patients in our care are customized and optimized to reflect each individual’s needs as they change over time. We look forward to meeting you and caring for your loved ones! Click here for Career Opportunities. Make a donation to the Hotel Dieu Shaver Foundation. Browse upcoming events at Hotel Dieu Shaver. Sponsored by Catholic Health International. Hotel Dieu Shaver Health and Rehabilitation Centre honoured its 121 dedicated Auxiliary and volunteer members at its annual appreciation luncheon held Friday, April 12th at Club Roma in St. Catharines. At the luncheon, the hospital’s Auxiliary announced its total amount in donations was $1,075,524 since Hotel Dieu Shaver’s formation in 2005. For the latest news on Hotel Dieu Shaver - April 2019. 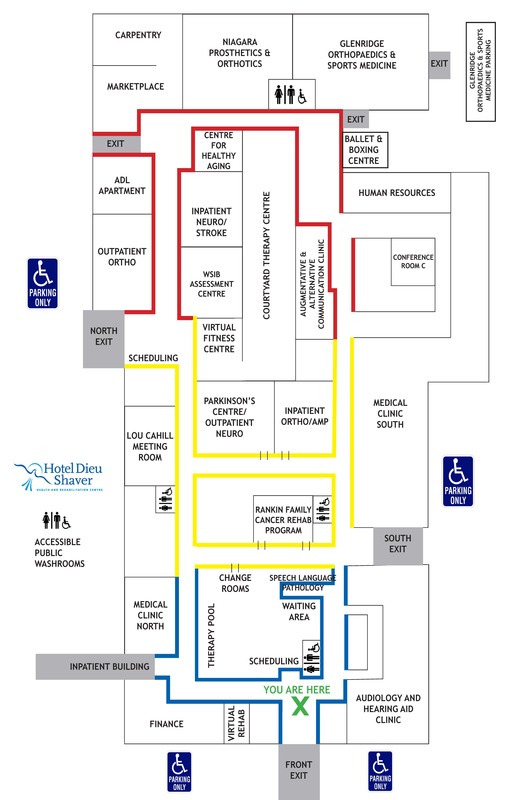 Hotel Dieu Shaver Health and Rehabilitation Centre is a health-care facility specializing in geriatric, complex care and rehabilitation services to the Niagara community. By subscribing to our mailing list you will get the latest news from us.